Meals For . . . Jordan & Melissa Webster scroll down to sign up... Admin Password: GO! 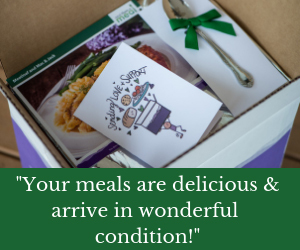 Meal Drop-off time : 4-7pm. Text/call Melissa (716-207-7212) or Jordan (615-589-4800) to let them know when you will arrive. Note: The Websters live on a farm. So be advised they do have lots of animals including free range chickens who often approach the cars who pull up. We are so excited to be celebrating the arrival of a sweet new baby boy, Tucker Elias Webster. Jordan and Melissa Webster from our Marathon family welcomed their son four weeks early on October 20th. He is spending a little time in the NICU before joining his family shortly. He is already so loved by his four siblings, Caleb, Savanna, Amelia, and Lucy. As a family at Ethos, it is our Christian calling to love, encourage, and support this family as they begin the journey of a family of seven. So what is it I am asking of you?